Our superior skill in working with custom colors and finishes has been depended upon for years in the Greater Hartford Area. Our goal is to maintain that high standard of quality in the field of professional finishing by delivering valued experience from our independently owned and operated business. We will help you create the perfect look for your project. We work with you to select just the right stain, paint and finish to complement existing decor. Our expert finishing services ensure that the results exceed your expectations! Feel free to call to discuss some design ideas and techniques! West Hartford Finishing provides architectural wood refinishing and restoration services that you can rely on for professional results every time. Paint stripping and wood preparation are very important steps in the process and we ensure that we make minimal disruption to your home or business. We work closely with you to ensure that the architectural finishing project is completed per specification, on time and within budget! All work is completed under the supervision of owner George Peluso and the entire staff consists of professional and reliable craftsman. For a quote on either restoration or new build finishing, please give us a call. We would be glad to visit your site and discuss the project with you. We have years of experience in a full range of architectural wood finishing projects, from living rooms to casinos! We are located in West Hartford, CT and have worked with clients all over CT. References are available upon request. 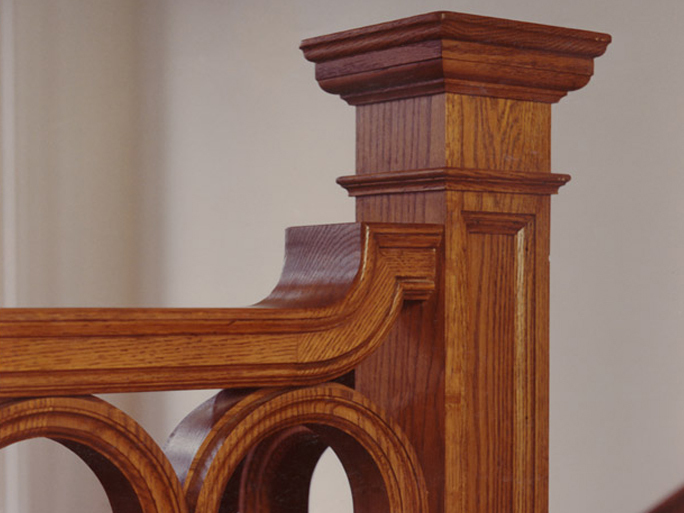 We provide millwork finishing services for several large cabinet companies and mill shops in Connecticut. From baseboard to crown molding we can handle any small or large job. We pride ourselves on our professionalism and attention to detail on both residential and business new construction wood finishing projects. 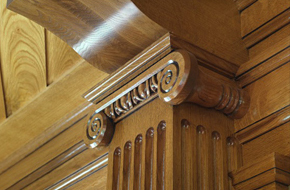 West Hartford Finishing specializes in on-site wood finishing, restoration and touch-up. We provide dependable, quality wood finishing service to homes and commercial businesses with exquisite woodwork and furniture. Our years of experience allow you the peace of mind that your project will receive first rate workmanship with excellent results. Our attention to detail is second to none and you are sure to be pleased with the results. 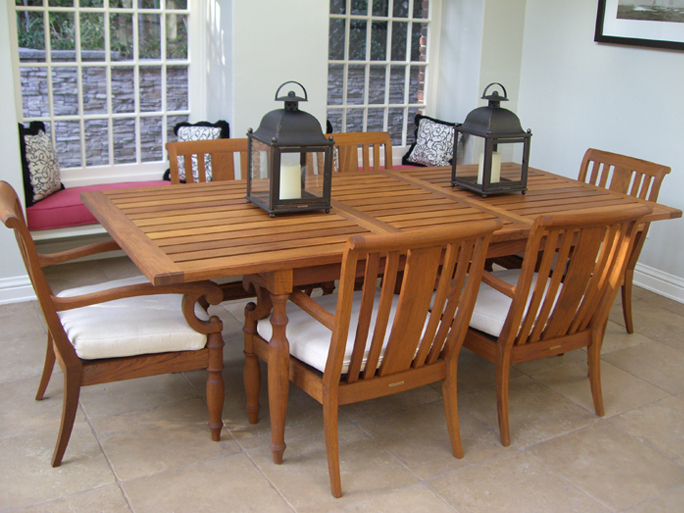 Our professional wood finishing artisans work on-site, in-home or in our shop refinishing your wood pieces. We prepare the work and surrounding areas, we sand, fill, re-grain by hand and tone to match exactly the existing color and finish. In most instances, the client cannot even distinguish where the damage or worn areas were!